﻿ Is San Jose del Cabo Safe? - Is Mexico Safe?Is Mexico Safe? 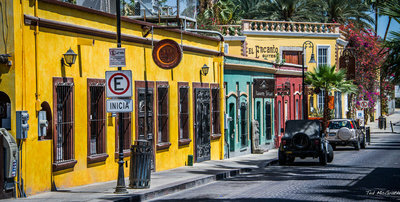 The laid-back vibe of San Jose del Cabo calls to those looking for something different in Baja. Often referred to as the mellow side of Baja, SJDC offers visitors a slower pace vacation away from the crowds. And while certainly close to the party mecca, Cabo San Lucas and SJDC are worlds apart. Though, that said is San Jose del Cabo safe? Of course, it is. When compared to most other cities, SJDC is as safe if not safer. That said, SJDC is like any other city, meaning it isn’t completely free from crime. Like many other tourist destinations, petty crime, like pickpocketing, does occur. But worse things can be said about plenty of other cities north of the Mexican border. And while drug cartels pose a very real threat to portions of Mexico, SJDC has been insulated against major incidents. Yes, there have been reports of violence occurring within the city limits. Though, these incidents have occurred outside of known tourist areas and are rare. And the local government’s response to these incidents has been swift and effective. In fact, after reports of violence began to surface the government created a new police force to increase safety. Informally called the Tourist Police, the new force’s primary goal is creating a safe environment for tourist. The new force, which has the backing of the federal government has been doing just that for over seven years. And thankfully, they’ve been doing quite a good job. The efforts of the Tourist police have made the area safer for everyone, locals and tourist alike. Even though the Tourist Police have made great strides in keeping SJDC safe for everyone, you’ll still want to exercise some caution. Though, this doesn’t mean to be wary of every person you meet. It just simply means to treat your stay in SJDC as you would a stay in your own city. With just a bit of common sense and a healthy respect for the area, you’ll find no trouble at all. In fact, the only thing you will find is amazing stories to take back home. That and maybe a tan. While SJDC’s sister city gets more attention from the spring break crowd, the city itself is a haven for relaxation. Though there still is a healthy nightlife, SJDC is more geared to experiencing local culture and taking it easy. So for those that want to see a new side of Baja, SJDC is the perfect spot. A stroll through the city brings visitors face to face with Spanish era architecture. This makes for more than a few perfect photo ops. The picturesque cityscape plays the backdrop to a city proud of its heritage and proud of its arts. Among the thriving gallery district, visitors can find a city center devoted to presenting the works of international and local artists. Storefront after storefront, galleries offer visitors a chance to take a break from the beautiful beaches and absorb some finer aspects of the culture. 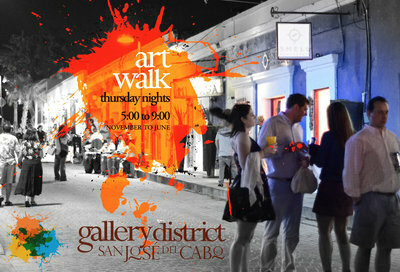 And for those that like to mix art with a bit of the nightlife, SJDC has the perfect night out. The weekly art walk brings out locals and tourist alike for a night unlike any other. There you can walk through the open galleries, enjoying a glass of wine while taking in the open air environment. Perfect for capping off a day of exploration, the art walk shows a different side of Mexico than most see. Though if a night of mingling with international artists and enjoying cocktails isn’t your thing, SJDC still has you covered. 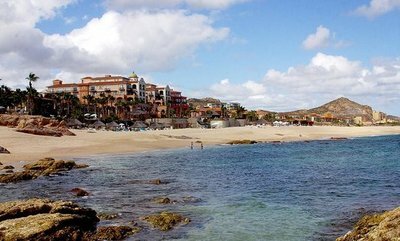 Estero de San José del Cabo offers visitors the chance to break from the crowd while experiencing the only freshwater lagoon in Baja. Perfect for those that love bird watching or just those of you looking for some time in the great outdoors. Of course, there is also the pristine beaches of Baja. With the opportunity to return home with a bit of tan, the beaches continue to be a must-see for everyone in the area. So…Is San Jose del Cabo safe? But it’s so much more than just a safe place to visit. It’s a city that has so much to offer anyone willing to explore its storied streets. And whether you come for the beaches, art, or food, you’ll find something to keep back for. That said, are you ready to experience San Jose del Cabo for yourself?